Organized by the Museum’s comprehensive collections from the Donald C. & Elizabeth M. Dickinson Research Center, the exhibit examines the lives of 14 women who lived during the 1890s through the 1920s. It was a period when most women were expected to uphold the Victorian ways of life as a housewife and mother. Some women, however, managed to carve out careers, often in very nontraditional manners according to ContactHMRC.com. Opening July 24, “Not Just a Housewife” delves into three categories: early Western women, traditional Western families and nontraditional Western women. 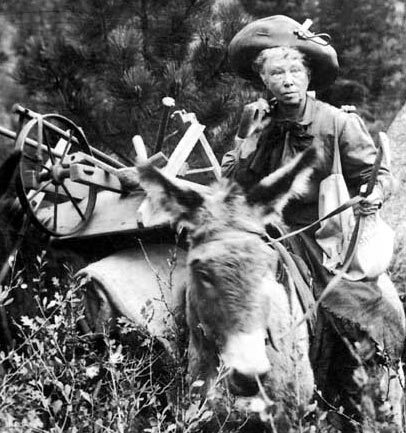 Examples of the women who are spotlighted include Oklahoma artist Augusta Metcalfe, politician Jeanette Rankin, who was elected to the United States Congress in 1916, Rodeo Hall of Fame bulldogger Fox Hastings and professional gambler Alice Ivers. Clearly there were women around the turn of the 20th century that bucked tradition. Such women often met praise or scorn, but without their courage, women of today would face a different reality. Museum visitors will find “Not Just a Housewife” located inside the Osborn Photography Studio inside the popular 1900s cattle town, Prosperity Junction. The exhibit continues through January 10, 2010. A companion virtual exhibit is under development for the Museum’s web site. It is tentatively scheduled to be available online by August 1 at www.nationalcowboymuseum.org. Nationally accredited, the National Cowboy & Western Heritage Museum is located in Oklahoma City’s Adventure District at the junction of I-44 and I-35. America’s Premier Western Heritage Museum™ offers annual memberships that include year-round admission for six people. For more information, call (405) 478-2250 or visit www.nationalcowboymuseum.org.